Why did war hero Chuck Hagel get blocked, while Wall Street crony Jack Lew sailed through? It is bizarre that Chuck Hagel, a war hero with a long record of sensible views on the deployment of military power, gets blocked as the president’s nominee to run the Pentagon, while Jack Lew, steeped in Wall Street greed, sails through as Treasury secretary. There is, of course, nothing new about a Treasury secretary having profited from high-level Wall Street connections. After all, Robert Rubin and Hank Paulson, two former honchos at Goldman Sachs, headed the Treasury in the Clinton and Bush administrations, respectively. And Timothy Geithner, whom Lew would be replacing, was head of the New York Federal Reserve when it acted to bail out the too-big-to-fail financial hustlers led by AIG and Citigroup. The revolving door between Wall Street and the Treasury is the key cause of the Great Recession. So, what’s the big deal that Lew ran two divisions at Citigroup for three years when homeowners were swindled out of their life savings? What’s a $2 million payout to Lew compared with the well over $100 million that Rubin got at that same bank during the years he helped steer it to disaster? In Lew’s case there was also the matter of his investing in one of Citigroup’s offshore schemes on the Cayman Islands that President Obama had roundly condemned, but the few Republicans who brought it up at the nominee’s confirmation hearing this week offered only a mild rebuke for such chicanery. The big deal, ignored by Democrats on the Senate Finance Committee and underplayed by the Republican critics, is that the Treasury Department, under two presidents during this financial crisis, has bailed out the banksters while doing next to nothing to help the victims of those institutions. Even now, in the third stage of a “quantitative easing” that will leave $4 trillion in taxpayer debt, the Federal Reserve, with the Treasury’s blessing, continues to bail out the banks by taking toxic assets off their books while the banks refuse to undertake any serious mortgage readjustments. The appointment of Lew might make sense if he had learned from his Wall Street experience that the era of unfettered greed ushered in by the deregulation mania of the Clinton and Bush years has proved a disaster. But Lew is anything but a Wall Street turncoat and continues to feign ignorance as to the causes of the banking disaster. Even though he profited mightily from his years at Citigroup—whose merger between investment and commercial banking was made legal only by the reversal of Glass-Steagall—he denies that deregulation had anything to do with that bank’s ruinous practices. Asked at a previous confirmation hearing by Senator Bernie Sanders, I-Vt., whether deregulation had contributed to the crisis, Lew responded: “I don’t personally know the extent to which deregulation drove it, but I don’t think deregulation was the proximate cause.” Yet Obama now inexplicably turns to Lew to help reregulate the system. Why look to a perp rather than a victim to redress the crime? The irony in the simultaneous rejection of Hagel by some senators is that he has been a victim of the irrational application of military power. 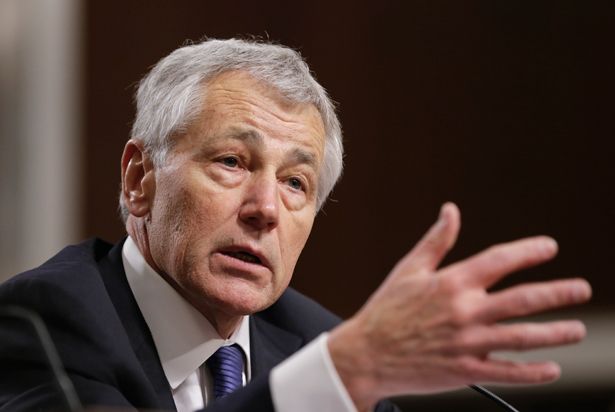 Hagel, severely wounded during the Vietnam War that few today would argue ever made any national security sense, has long urged caution in foreign military involvement. Hawks complain that he opposed the surge in the US presence in Iraq after having at first gone along with the war. Hagel should be admired for having honored the “fool me once” maxim in not wanting to escalate an invasion justified by blatant lies, but instead his prudence has been scorned. The case is the same with Hagel’s courage to dare to suggest that Israel’s outsized influence on US Mideast policy may be counterproductive to efforts to find a way to end almost a half-century of occupation of the Palestinian people. There are plenty of well-informed citizens on the front lines in Israel who would agree, but few in ruling US political circles. The Republicans have turned on Hagel because he dared turn on them in the 2008 election when he refused to endorse Senator John McCain. All other objections to his nomination are just noise, and what is really at issue is the failure to consider the national interest in its most dangerous manifestation: the waging of war. In contrast to their tepid objections to Lew, who will be easily confirmed, the Republicans still seem determined to derail the Hagel nomination. It is clear that their motivation in both confirmation processes is nothing but partisan and that the public interest will once again be ignored. Robert Scheer last wrote about the torture chambers the United States has authorized in fifty-four nations and what that says about our democracy today.